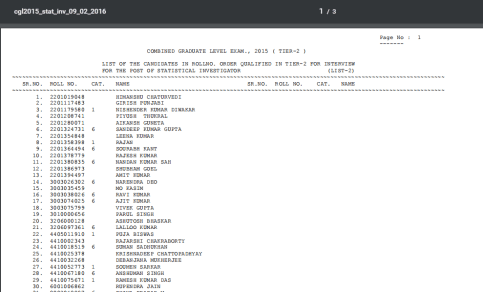 The Staff Selection Commission(SSC) has finally declared the results of the Combined Graduate Level Tier-2 Examination 2015( SSC CGL 2015). The candidates who have crossed the cutoff will be called for the Interview/Skill Test. SSC CGL Tier-2 2015 was conducted on 25th and 26th October 2015. 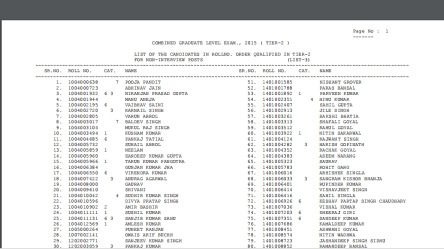 *In addition to UR candidates shown above, 2354 OBC, 126 SC and 31 ST have also cleared cutoff for General Category. They are shown in their respective categories. 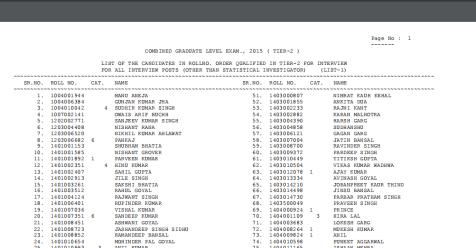 The final result of the SSC CGL 2015 will be out in 3rd week of April.